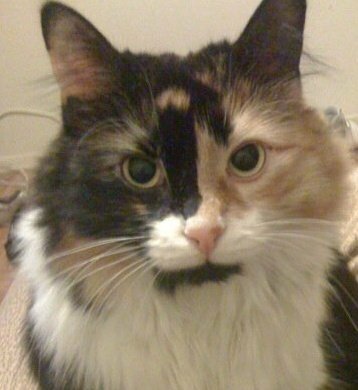 This is a picture of our beautiful calico Lily. She is a rescue cat from the Barrie OSPCA. I could not have asked for a better cat. She comes when you call her, she "talks" all the time, and she will even sit next to you when you are not feeling well. We have had her for 4 years now, and we love her very much.